7. Now click OK. You’ll be prompted to sign out and in again. Do this. 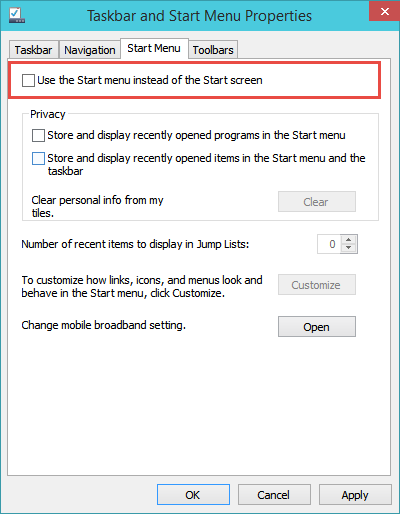 You will now again have the metro start instead of start menu.